More logos! Apparently February was the month of working on logos and while I’ve had fun, I’ve also realized that logo design is something I appreciate more than I enjoy doing. 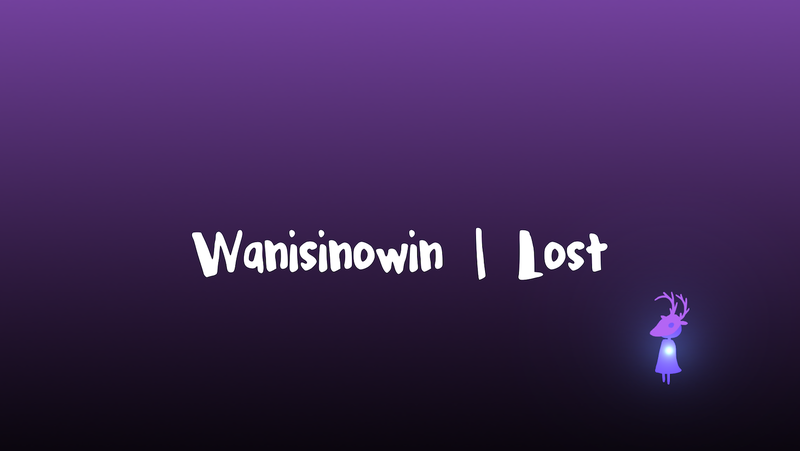 Today I’m showing you the progression from the original Wanisionwin game logo to our new logo. My first plan was to just find a new font and then add a texture to it but those all fell flat and by the time we had agreed on a look (#2) I felt it was just too boring. I thought adding the Cree Syllabic to the logo would make it more interesting. The thin version just seemed too weak and the bold version was too strong, making both the roman and the Cree almost unreadable. To fix this problem I moved the Cree down and then played around with colour and tone to get our final logo, which I like the look of but still feel it’s a little boring. Might be time to find a logo designer who can give me a hand.